The residency occurs Every Wednesday in July along with two Saturday events on July 9th and July 23rd! 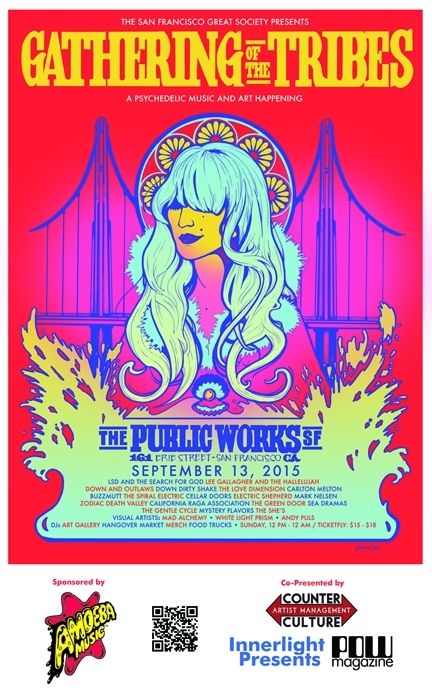 ¨I want to build a community of like-minded artists in the Bay Area. We'll be featuring bands, artist, projections, dancers, djs and public speakers talking about the real issues in SF and what we can do about them. The Residency is starting to become a staple and cult classic in our thriving Bay Area music scene. I loved how hard it was to pick which acts to have on the lineups. There are so many talented bands in the Bay that I actually had to add two dates to accommodate the amount of bands. I could easily could have had a year long DDS Residency. 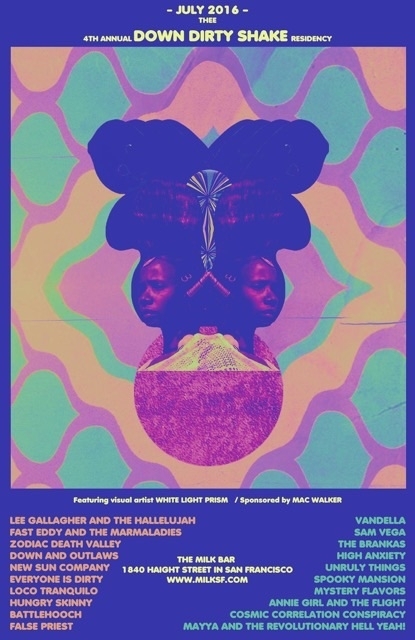 The San Francisco based psychedelic gospel band, Lee Gallagher and the Hallelujah will be performing live at Slim’s in San Francisco on July 8th. They haven’t played a Bay Area show since April so if you’ve missed them, this will be your opportunity to experience their entrancing live show again. The band will be supporting the fresh, postmodern blues rock band, Jessica Hernandez & The Deltas. This is going to be an exciting show because the energy and poignancy of both band’s understanding of throwback American music shines through their music. We love their interpretations of blues and gospel and appreciate the authenticity of their musical execution. 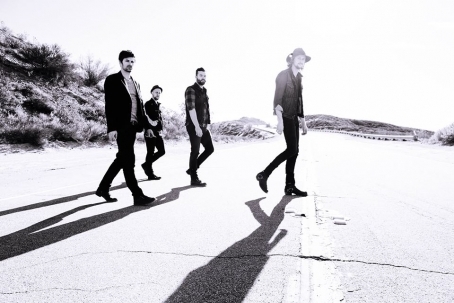 These bands are pros and they play like it. Lee Gallagher and Jessica Hernandez' voices will pretty much blow you away. Make your way out to Slim’s on July 8th! You won’t regret it. 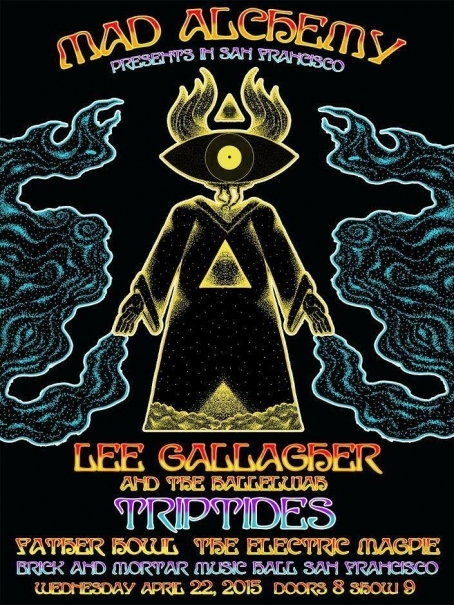 San Francisco based psych gospel rock band, Lee Gallagher and the Hallelujah have a show coming up tomorrow night at Brick and Mortar Music Hall in San Francisco. They'll be performing live with psych band, Triptides, mod revivalist band, The Electric Magpie and surf metal band, Father Howl! This is guaranteed to be a mind melting rock experience presented by psychedelic visual artist and promoter Mad Alchemy. Make sure you support local music and build up as much psych rock enthusiasm your mind, body and soul can muster!! Our Year End Poll for Emerging SF Bay Area Artists was - as usual - a painstaking (and somewhat excruciating) process, but we pulled it off with remarkable flair! 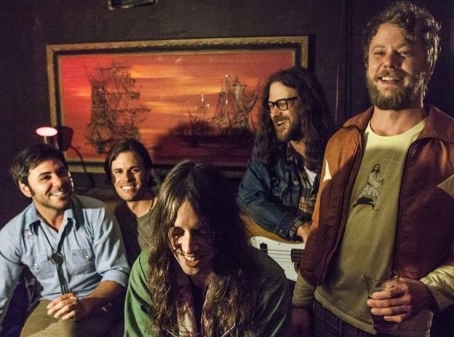 Kudos to garage rockers, Down and Outlaws, our new Deli SF Bay Area Artist of the Year!!! Here is how it all went down: first, we let the local bands submit their music (for free), and got our Deli editors to pick the nominees. Then we polled a list of 15+ SF Bay Area scene expert (our jury) and asked them to nominate 3 more bands of their choice each. Then we polled our writers, then we polled our readers. We tried to keep things open for each single genre, from Indie Rock to Roots Music to Hip Hop. If you are a geek interested in all the subtelties related to how this poll works, you can read its rules here (happy reading!). But if all you care about is the awesome new music SF Bay Area produced in the year 2013, this list is all you need. Enjoy!